Why would Russia care about itty-bitty Israel, I’ve sometimes wondered, thinking in practical, political terms about end-times theology, Gog and Magog, all that. What would be the set up for such a move? A paragraph in an Investors.com article offers one clue, to me at least. Moscow’s strategic view is of a continent not only energy-dependent on Russia but also security-dependent. And, when every European city is within range of Teheran and other psycho states, there’ll be plenty of takers for that when the alternative is an effete and feckless Washington. The Islamic Republic of Iran has started drilling its first exploratory well in the Caspian Sea to search for oil in the resource-rich body of water. “The Amir-Kabir semi-submersible drilling rig has started exploration drillings in the Caspian Sea. It will drill the country’s first exploratory well at a depth of 1,550 meters under the seabed,” North Drilling Company Managing Director Hedayatollah Khademi told the Mehr News Agency on Saturday. In light of the great potential of the region, there is a very good possibility that the Amir-Kabir (formerly known as Iran-Alborz) semi-submersible drilling rig will help find new reserves of crude oil in the Caspian Sea, he added. The drilling rig weighs 14,000 tons without its attachments and will facilitate exploration in deep waters in the southern part of the Caspian Sea. According to estimates, the southern part of the Caspian Sea holds at least 32 billion barrels of oil reserves. 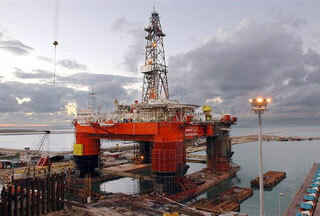 Iran’s exploration efforts have so far led to the discovery of 46 oil fields in the Caspian Sea. Why does this matter enough for me to reprint it here? Because of where the Caspian Sea is, who the countries are that surround it, and what they are doing there as we speak. See my earlier articles about the Caspian Sea and oil. The drop appears to show that the lake has receded by up to two metres in the past five years. And in shallow areas of the lake, that regression could be even greater. Central Asia has already experienced catastrophic loss of a water system. The Aral Sea is considered one of the greatest environmental tragedies of the 20th Century. Soviet irrigation led to its irreversible decline. 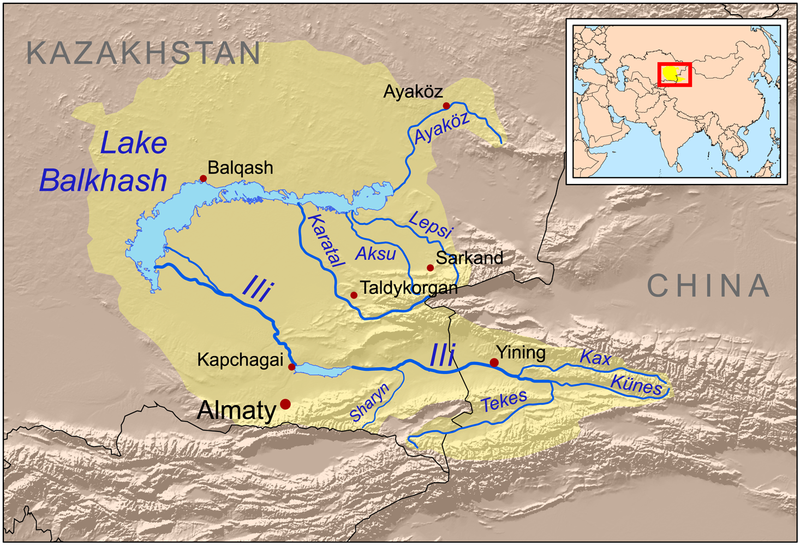 Even today, vast quantities of water are drawn from the rivers that feed it and used for cotton cultivation by Kazakhstan and its neighbours, Uzbekistan and Turkmenistan. The Aral Sea is now a tenth of its original size. Where there was once water, there is now desert. Fertiliser and pesticide residues have contaminated the local population, and salt particles are believed to accelerate glacial melting in mountains thousands of kilometres away. Scientific evidence looks certain to demonstrate that the same conditions of unsustainable water use that destroyed the Aral now threaten Balkhash. What is less clear is whether it will be enough to persuade the Chinese and the Kazakhs to co-operate and compromise in order to ensure the lake’s survival. It is the largest lake in Central Asia. It is a closed basin that is part of the endorheic basin that includes the Caspian and Aral seas. TEHRAN (FNA)- Iran is no threat to the regional countries, including the Persian Gulf littoral states, and this has been proved to everyone, Kuwaiti Ambassador to Tehran Majdi Ahmad Ebrahim Al-Zafiri stressed here on Tuesday. “Some neighboring countries might have different views in this regard but generally speaking, all of them unanimously say that Iran does not pose a threat to any other country,” Al-Zafiri said in a meeting with Iranian officials in the southern province of Bushehr. 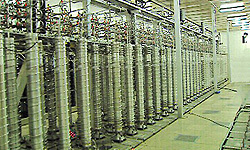 TEHRAN (FNA)- Iran announced on Tuesday that it has tested a new generation of centrifuges to promote the country’s nuclear fuel production capability. “We have tested a new generation of centrifuges that is now in its final phases. Their capacity (to enrich uranium) is 5 times more than that of the existing centrifuges,” Iranian President Mahmoud Ahmadinejad said, speaking at a news conference with Iranian and foreign reporters here in Tehran today. “We will use them for (supplying) our power plants’ fuel in the near future,” the president went on to say. 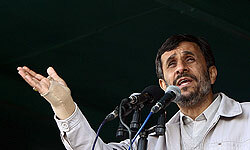 TEHRAN (FNA)- Iranian President Mahmoud Ahmadinejad blasted the world arrogant powers for their attempts to dominate the resources in the Middle Eastern countries. “Middle East is the cradle of the world’s major civilizations and the crossroads of the world’s political relations. It is also the rich source of world’s energy and that is why the arrogant powers are to dominate it,” he added.